We are pleased to announce that we have launched a 24/7 Live Betting Channels service to provide operators globally with betting content around the clock. The 24/7 Live Betting Channels service provides a range of content for online and retail, tailored to betting operator needs around the world. Content includes live horse and greyhound racing, virtual horse and greyhound racing, and numbers games. Premium exclusive live UK & Irish horse racing will be available, with international horse racing from Dubai, Latin America, Mauritius, and Korea, as well as UK & Irish greyhound racing, which will provide bettors with frequent betting opportunities every three minutes throughout the day. The channels are delivered in a ‘Watch & Bet’ format which will provide live racing to bettors without the need for a prior bet – designed to further drive engagement. They are also supported by an end-to-end service of live streamed pictures, data, on-screen graphics with betting triggers, and a wide range of markets & pricing. It is also possible to customise the channels with the inclusion of partner logos. 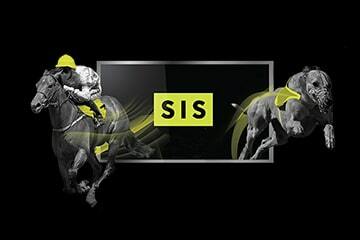 Paul Witten, Product Director at SIS, said: “SIS is the only supplier offering a 24-hour betting channels service, our 24/7 Live Betting Channels provide desirable and profitable content for bookmakers, with a betting event every 3 minutes, including pictures, data and prices. “The channels are ideal for bettors across the globe looking for quick and easy betting opportunities at times which suit them”.